Doctor Who is watched at several levels in an average household. The smallest child terrified behind a sofa or under a cushion, and the next one up laughing at him, and the elder one saying 'sh, I want to listen', and the parents saying 'isn't this enjoyable'. It's all about expectations, isn't it? I've talked before about the two different Doctors Who – the Who that exists in the mind of the fans and the Who that exists in the nostalgic memories of people who used to watch it on television in the 1970s. The former is all Time Lord politics and back story, maybe Harold Saxon is the Monk, maybe River Song is the Master, if James Bond is Rassilon then who is Omega? The latter is Basil Brush and Marmite and Frank Bough and the dividend forecast is very good. And by all means, make a hobby out of the Dalek Civil War and the Other and that peculiar confection in which baby Time Lords are knitted and the Doctor has a pet Badger. By all means believe that some kind of golden age came to an end when Ernie Wise died and they replaced the BBC globe with the BBC hippopotamus. But just occasionally, sit down with Horror of Fang Rock and remind yourself what it is we are talking about. Which is the real Doctor Who, after all? The one we remember from when we were twelve? The one invented by fan-fiction writers? Or the actual DVD we watch on our actual television? If I was going to write about The Prisoner remake, and I might, then I could safely talk about it as if it was a telly programme; quite interesting in places but no substitute for the real thing. A bit dull in the middle...Jesus was a bit wooden....Gandalf saved the day...you'd have to have had a heart of stone to watch the scene in which [SPOILER DELETED] tops himself without laughing. I wouldn't waste ten words saying "Bugger all to do with Patrick McGoohan, though". My reader would probably send me a comment along the lines of "Well, duh!" If you like modern Doctor Who, well, 10 to 1 you'd like anything with the Doctor Who label on it on general principles. Running back to the TARDIS is the equivalent of grasping a favourite teddy bear, quite harmless, possibly, but not a valid basis for a critical response. If you don't like modern Doctor Who, then, 10 to 1, you're one of those fanboys who's still sore at Jon Pertwee for leaving and thinks that everything should be in black and white. And don't dare try justify your position by referring to specific strengths or weaknesses in specific episodes. Only the geekiest of geeky geeks would quote facts about a TV show, and we really shouldn't pay much attention to what geeky geeks say. Simpsons Comic Book Guy. Simpsons Comic Book Guy. [*] Or Bob Dylan, admittedly, but let's not get bogged down in the first paragraph. In my case, it's precisely because you'll say what you think rather than follow some imagined consensus that I read your blog at all. I'm two episodes behind with this series, but by my count there have already been more good episodes than in Tennant's first two series combined, and you won't find a bigger loather of The RTD Era than me. Which isn't to say it's perfect - Smith still, frankly, doesn't seem like the Doctor to me ("Don't diss the sonic!" indeed...) - but it's something like halfway between the awfulness of Series 3 RTD era (the last I watched) and Series 12 Hinchcliffe era, which is a definite step in the right direction. Forgot to tick the tickybox. You can delete this. The thing is, I'm one of the seven people in the world who didn't really like Doctor Dave; Doctor Chris was bizarre, silly, emotional, manic and always fascinating, but Dave mostly was just gurning and daft (with, for the sake of honesty, some very good moments). I was lukewarm on Rose, loved what Martha could've been of only she'd stop mooning over the Doctor and get herself going, enjoyed the latter half of Mickey and honestly couldn't stand Donna (Ms Tate just grinds across my nerves like a rusty hacksaw. No matter how well written, I just couldn't get to like her character). When Doctor Matt was announced I loudly gave up on the programme forever as it was clearly going to be a succession of Tenant clones getting younger and younger until the inevitable Phantom Menace Moment of Implosion. All that said, I gave the new series a go, just in case, and I have never been happier to be so wrong. Karen Gillam and Matt Smith are both genuinely good actors, the episodes have varied in quality from the lows of the Daleks in the Blitz to the closing moments of the Beast Below during which I did not cry and anyone who tells you otherwise is a liar. For the first time since series 1 (that's 1 NW, not 1 in the old reckoning - my history only goes back to Tom Baker) I am honestly, hand on heart looking forward to Saturday evenings. I want to see where they will go next. I want to know how they will get Rory back (yes, they will. Don't ruin this for me) and I'm even kind of interested about the whole cracks thing, although I've been hurt before and I don't trust them entirely. Write whatever you will and I will lap it up in my general excitement about where we are now. I've never had it so good. So, Andrew, I hope you're going to tell us more about your reaction to Series 5. I stopped reading Abigail Nussbaum's blog, which I used to love, because it got so relentlessly negative. I wouldn't suggest coming back for my next Doctor Who post, then. I'd be interested in hearing some more about your positive reactions to the season, Andrew, as the enthusiasm for it has left me baffled. I'm finding it something much worse than bad - it's dull. Ironically, though, Abigail, I will read what you write about Doctor Who (because I'm interested enough in the program to want to know why you don't like it). Well, Mike, for that I would have to unequivocally love something (I assume we're talking about TV shows here) and those are pretty rare in the best of times, and certainly in what looks to me like a very depressing half-decade for science fiction and fantasy. That said, I've written quite positively about The Good Wife just this month, and about Dexter late last year, and I'm planning a positive post about Justified, a neo-Western that has just concluded its first season. Glad you enjoyed Veronica Mars, at any rate. I started watching full time with this season. 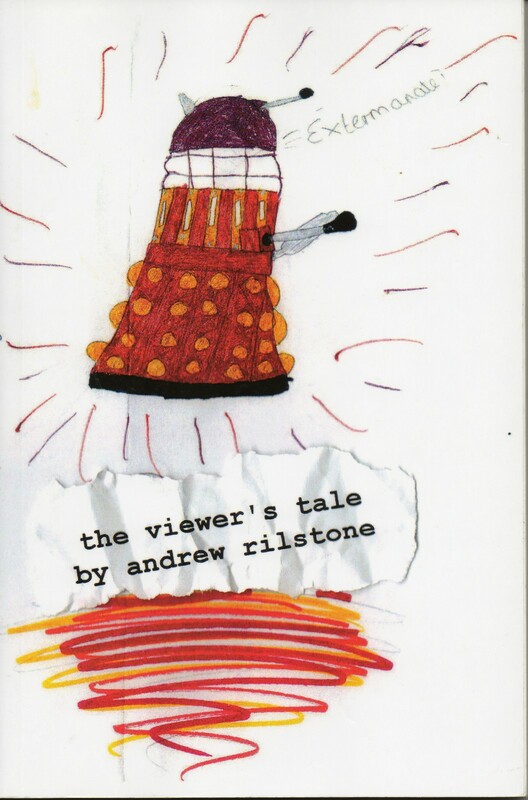 "Dalek" was the point at which I gave up consistently watching the RTD years, and was often baffled when it was referred to in later years as something of a high point. A lot of this season appears to me to be a Grant Morrison-esque attempt by Moffat to recreate what he enjoyed about watching Doctor Who within the context of RTD's series (who has always been something of a Mark Millar to me). A lot of it is intentionally undoing what has happened within "continuity" which can leave some cold but frankly I admire how brutal it can be. Greg, the Morrison/Millar comparison seems a pretty good one to me, actually - though Morrison is a far more humane and sympathetic writer to my mind than Moffat is. Greg G: I agree with points 1 and 3, but must disagree with point 2. Moffat's Doctor is even more of a superhero than Davies's Doctor. Matt Smith has had at least a dozen lines like "There's one thing you should never put into a trap - me." Now we, the adult viewers, know full well that the Doctor can't be defeated, but he really ought not to know that. It drains a lot of the tension from the show. This is a minor criticism and I'm not here to bury Moffat's Doctor Who. I agree with Abigail that so far the greatest sin has been dullness, but I'm a classic Doctor Who fan. I've watched the classic series all the way through, including reconstructions, two and a half times (currently on Season 16 in my latest run). Dullness doesn't bother me too much. (Save me from Underworld. I have never made it through that one without falling asleep.) I appreciate that Moffat hasn't made any episodes which were howlingly bad like Davies would produce at least three or four times a season, but he also hasn't produced a real gem like Davies would produce at least once or twice a season (granted, often written by Moffat). I must confess some disappointment at that, but I can't say I'm entirely dissatisfied. It's like trading in Tom Baker for Peter Davison and, of course, Davison was Moffat's favorite Doctor so perhaps that shouldn't be a surprise. I think I should have been clearer: while there were indeed trace elements of the RTD action hero in this series, the Doctor is far less of a superhero in function. That is: a man with special powers who defends his particular patch (either physical - Batman & Gotham - or thematic - The Challengers & the Unknown) from all comers. This Doctor has a bit of that still, but is more of the proverbial cosmic hobo than RTD was comfortable with. I don't find this season dull at all - having not really watched RTD I can't say for sure but perhaps it's like having a proper meal after bingeing on a case of assorted Bassett's... And I think perhaps the gem will end up being the whole season rather than just one or two stories. Surely the point of DW is that they're BOTH the real DW. We manged to get along for 26 years with the notion of one of Doctors 1-7 being "My Doctor" without McCoy fans accusing Troughton fans of trying to drag the show back to an unrecoverable past. Admittedly, we had no internet then. Trust me, it's eight. My problem with DT is thr truth that dare not speak its name. We saw DT in other stuff and in the RSC and no-one really questioned the notion that he's one of our finest actors. Trouble was that he didn't bring that fine acting to his portrayal of the Doctor. Maybe it was the fault of the writers, I don't know, but in S1 we had CE giving it some real acting welly in episode after episode. Yes, the gurning could be bothersome and yes he wasn't the best comedic actor, but you'd have to take your socks off to count the number of wow acting moments he gave us. In S5 we have MS mesmerising me, for one, with the subtlety of his performance to the point where even crappy writing (Hungry Earth?) passes me by as I'm carried along by waiting for MS' next wonderful vignette. In between, for seasons 2-4.5, we had DT giving us a pantomime portrayal. Want me to be thoughful and reflective, OK I'll stick out me lower jaw and murmur through my teeth. Want me to be joyful, OK I'll go "whooooaah it's a sanctuary base". Want me to be sad, OK I'll be "so sooooo sorry." Once or twice in those three and a bit seasons I saw moments which moved me from DT but it was only once or twice. I can't think of one "give me this day" or "I win - how about that?" moment from DT. He could be wonderful when he was quiet and still but that hardly ever happened. Just disappointing for me because I know that DT could have give so much more. In S1 and S5 I tune/tuned in to see the performance of the Doctor, in between I tuned in to watch the stories. I'd have to agree with most of that. I did like David Tennant's portrayal, but it never felt to me like it had the depth of Chris Eccleston's; and now that Matt Smith has taken over, and is doing so much more subtle a job, Tennant's three-and-a-half season are starting to feel rather pantomimish in comparison.